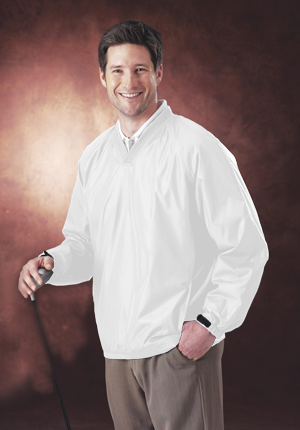 - Dunbrooke Fairway Lined Windshirt. - Rib knit V-neck collar. - Elastic cuffs with rubber accents.